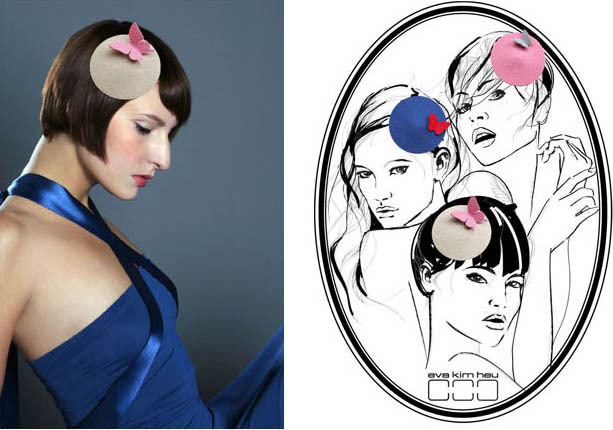 Great Gift Idea - The Hatdisc as an individual hair-accessory! 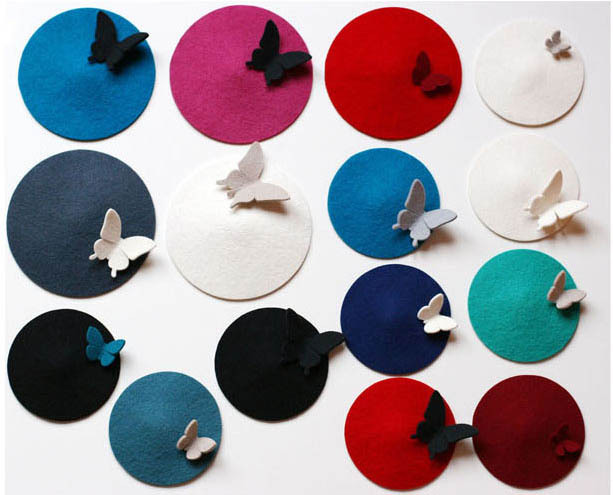 which could be worn by men aswell, and Hat Discs part of the new collection. which were chosen by Ken Oyama from the shop The Pineal Eye in London. At the same time BREAD & BUTTER DESIGN transports the artistic aspect of fashion through instatllations presented at the Guerilla Store. The Blickfang – Austrias biggest design fair for fashion, furniture and jewellery gives a guest performance for the third time in Vienna from 13th to 15th of October 2006. For three days the halls of the MAK will metamorhose in a veritable designparadise und present the legislating of over 140 young creatives. 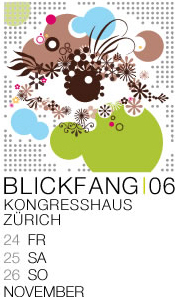 The Blickfang not only gives you the opportunity to look, but also to try on, test and buy. The Designers are available for questions of the interested public und surprise once more with fancy ideas, unusual design and creativity of a special class. The extensive supporting programme comes up with fashion shows, lectures, design awards, Istanbul-Corner and some surprises especially for the male Blickfang visitors. FR 12 - 22 p.m.
SA 12 - 22 p.m. SO 10 - 20 p.m.
SA 6.30p.m. + 8.30 p.m.
...is the metamophoric title that stands for the content and the staging of the fashion show. Eight labels from Austria, Bulgaria and Switzerland and Istanbul present themselves and take you on an exciting trip through very different pictures and moods. The urge for the beautiful, but also for innovation by changing is he root for the upcoming fashionshow. Styling and choreography by Sammy Zayed, musical integration live by Sofasurfer Markus Kienzl. SA 6.30 p.m. + 8.30 p.m.
For the first time, the categories booth concept and product will be awarded, not like usually gold, silver and bronze. An exclusive jury of professionals assigns the designers. There will be a commendation for extraordinary booth concepts as well as uncommon whole concepts of several design lines. The MAK Design Shop Award distinguishes single products, which will be taken into the product portofolio of the MAK Design Shop for a few months. After last years guests from the Netherlands, our focus goes into distance: Istanbul the huge city that finds itself in the political and cultural change and decampment. The design and its spirit will provide unexpected insights. Round about a dozen young creatives from the eastern metropolis will carry the fresh, pulsing scene of Istanbul to Vienna with exciting products. All participants of the Istanbul-Corner under the button „Aussteller“. the forum mozartplatz presents once more young designers on the gateway between economy and culture. the ORF Enterprise presents the Press & Outdoor, Promo und Media winners of the Cannes Promotionalfestival 2006. * coffee-design - Meinl shows new design ideas around coffee-drinking in the meinl-Lounge! For the first time, there will be two special areas that provide fashion products exclusively for men. Let us surprise and convince you! Participating exhibitors with products for the male Blickfang visitors under the button „Aussteller“.